The essence of Speak Bitterness is a line of people making confessions from behind a long table. 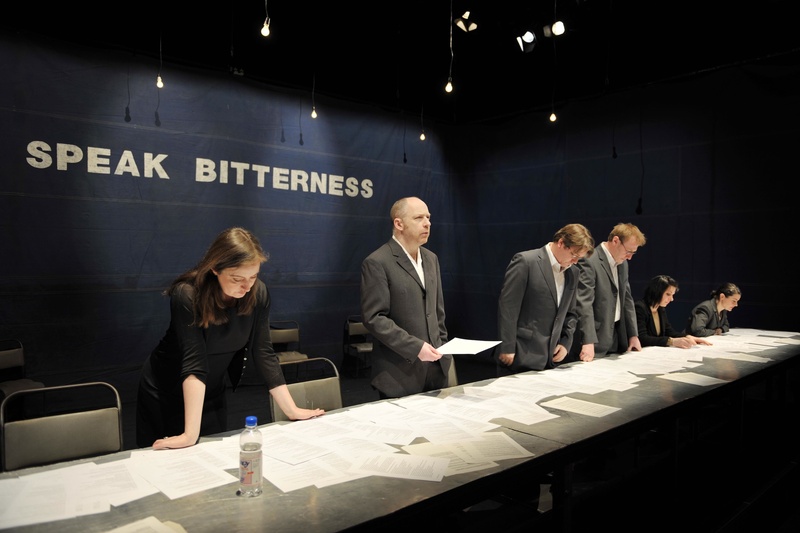 Occupying a brightly lit space, the performers take turns reading from the text that is strewn across the table. The litany of wrongdoing to which they confess ranges from the big time of forgery, murder or genocide to nasty little details, such as reading each other’s diaries and refusing to take the dogs out for a walk. 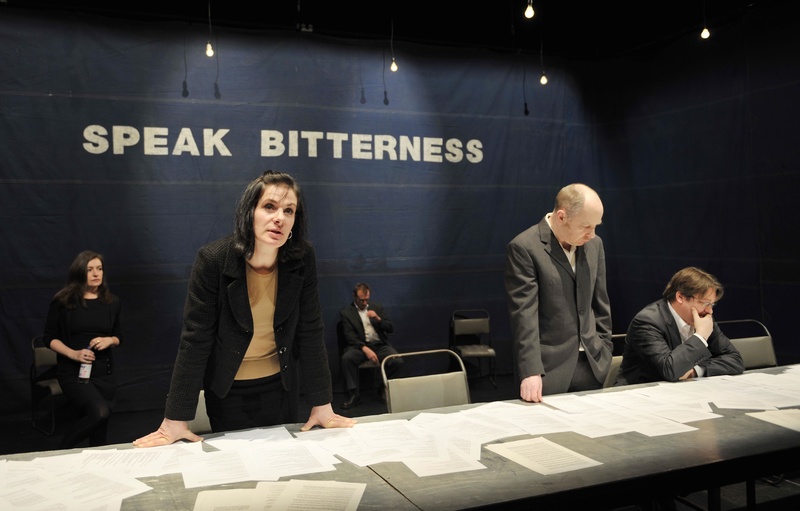 First presented in 1994, Speak Bitterness has subsequently been shown in both theatre and durational versions, the latter lasting up to six hours and allowing the public to arrive, depart and return at any point. An exhaustive catalogue, the text draws on the diverse cultures of confession in, for example, contemporary chat shows, churches and show trials. Dressed in suits, the performers compete to confess the most horrific, amusing or convincing things. Speaking softly, they meet the gaze of the audience (who are partly illuminated), drawing them into direct and intimate contact. The text for Speak Bitterness is published in Certain Fragments. 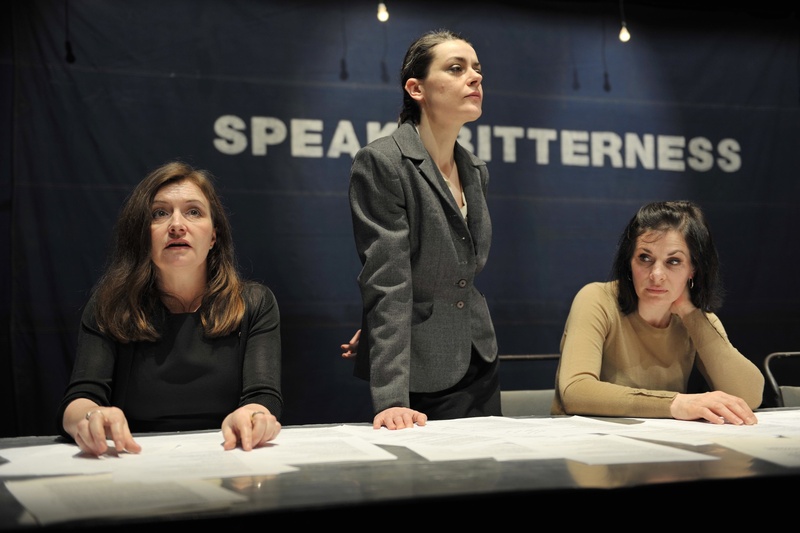 Theatre performance and 6-hour durational performance. "A beautifully simple idea, beautifully developed to create something clever, funny, mind-bending and profoundly humane." 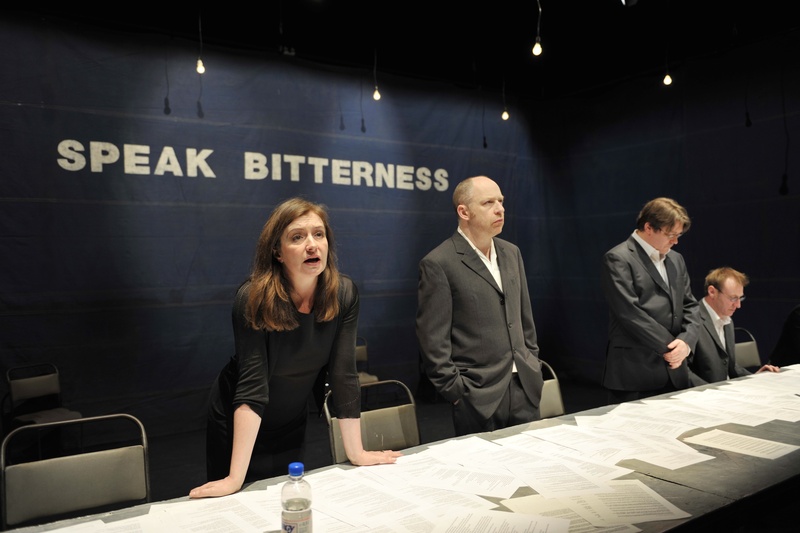 "A wide-ranging and open-ended piece; it is its very randomness that makes it so fascinating, embracing many possibilities of interpretation….a thought provoking and beautifully presented show…"
We are live streaming Speak Bitterness of Friday 29th March, 6:00pm – midnight (CET). Watch the stream here.